Soup weather! Yep, it’s that time of year again and the timing for this giveaway couldn’t be better. Progresso knows it’s that time of year again too, so here’s a great big reminder of where to get your next soup fix. We received this awesome gift package from My Blog Spark and in it are the two beautiful blue soup mugs with matching branded spoons. Best of all, we also received a can of delicious Progresso Chicken Tuscany Soup. 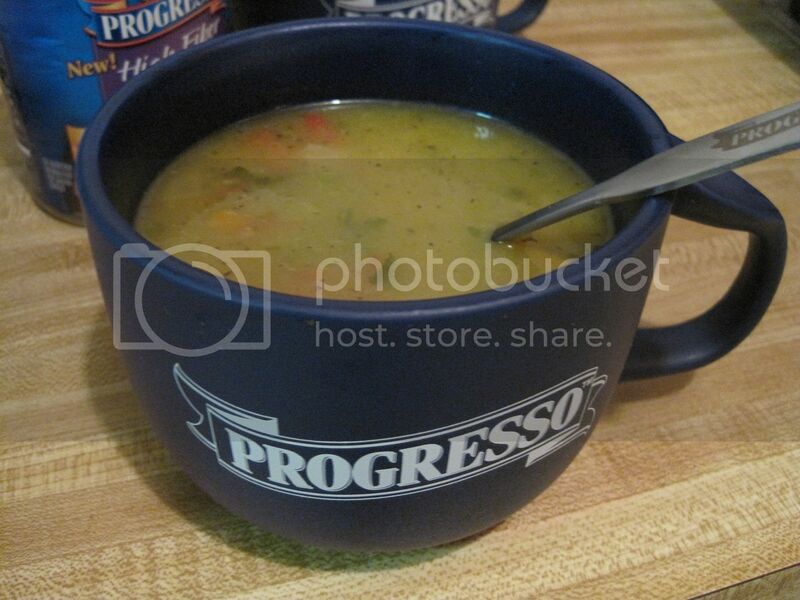 The Chicken Tuscany is part of the Progresso High Fiber line of soups. As with other Progresso products, these do not have any added MSG (monsodium glutamate) or artificial flavors. They are made just like I would make them, chock full of good for you veggies and natural flavors. This high fiiber line is just what you’d want if your trying to increase the fiber in your diet. Each serving contains seven grams of fiber which equals to 28% of the recommended daily fiber. That’s pretty darn good, don’t you think? The Progresso High Fiber soups come in four delicious flavors: Chicken Tuscany, Creamy Tomato Basil, Hearty Vegetable and Noodles and Homestyle Minestrone. Now I’ve said it here over and over again how I don’t really buy a lot of canned foods. It’s true, I wasn’t lying! I don’t buy a lot of canned foods, but the Progresso Soup is one of the ones I do buy. One, because my daughter loves soup and sometimes I just don’t have time to make soup. This gives her a healthy and easily prepared meal when she comes home from school hungry. The second reason I buy Progresso is because, as I have already mentioned above, it’s one of the canned soup products that’s not full of MSG and artificial stuff that you can’t pronounce. If you’d like to win this beautiful soup package, read on below to see how to enter this giveaway. 2. Share this giveaway in any media such as StumbleUpon, Digg, Facebook, etc. There is a share button at the end of this post for your convenience. Just make sure to come back and leave a comment for each share you make and you will gain an entry for each one. 4. Tweet this giveaway. You can copy and paste the text below or use the Share This button. 5. Blog about this giveaway and you will earn 3 entries. Leave a link to your post 3 times. 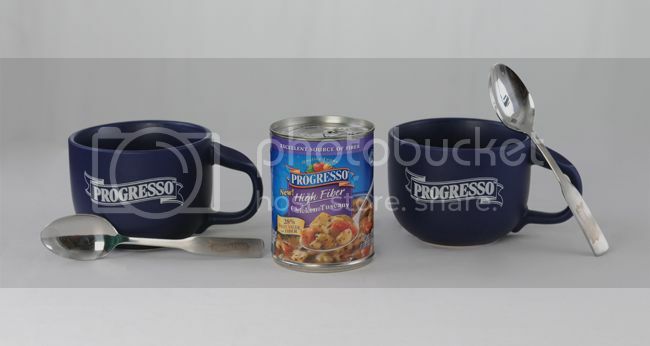 The Progresso gift pack and product sample as well as the giveaway prize offered in this post were provided byProgresso and MyBlogSpark.